Schön dass ihr da seid! Macht es euch gemütlich und begebt auf die Reise in die virtuelle Welt der Pippibären. Ich hoffe ihr entdeckt viel Schönes, viel Interessantes, Lustiges, manchmal auch Trauriges und immer wieder etwas Neues! Viel Spaß! Wusstet ihr, dass Seeotter beim Schlafen "Händchen halten" damit sie nicht voneinander wegtreiben? 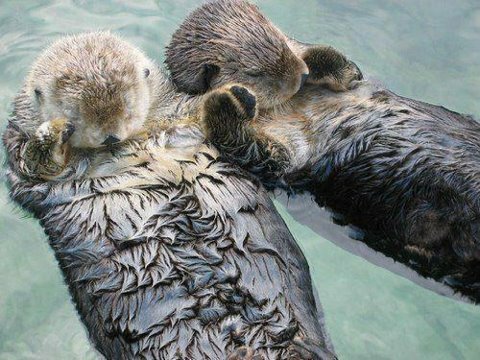 Did you know that sea otters while sleeping "hold hands" so they do not drift away from each other? wenn man lieber heimkommt, als fort geht"
when you rather come home, than going away"
Euch allen wünsche ich, wie immer an dieser Stelle, ein schönes kreatives Wochenende! I wish you all, as always at this point, a lovely creative weekend! The image of the otters is gorgeous. I've always found them fascinating to watch. So sweet holding hands. They look so cute. I did know that they held hands. I love it. No, Melli, I didn't know they hold hands together, so cute this picture! You have always such cute and beautiful pictures: thanks for sharing :D!! Ein schönes kreatives Wochenende für Dich! Dear Melli, Thanks for sharing this adorable picture. A lovely weekend to you too. 1 INCH SCALE WICKER PET CARRIER - How to weave a 1 inch scale dollhouse wicker pet carrier. 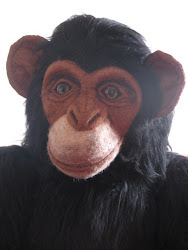 Big decisions: to blog or not to blog..a fond farewell? Happy Easter! - Frohe Ostern!